To introduce you to the team we've put together here at Push Square, we asked each team member for two PS3 games they considered absolutely essential. Here, Joe Walker from our US review team tackles quirky blocks and irrepressible spirits. 3D Dot Game Heroes is an “homage” to the original The Legend of Zelda, if “homage” means “complete rip-off.” Combining tough-as-nails old-school dungeon crawling with eye-popping art direction, it’s also genuinely funny, not just video game funny. Sometimes frustratingly difficult, the challenge only serves to temper your determination to conquer the bosses that await you at the end of each dungeon. 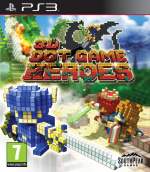 For those that long for the good ‘ol days of game design, 3D Dot Game Heroes is a shining beacon of hope. The customisation aspect really puts the game over the top, allowing you to explore the beautiful, retro-inspired world with a pixellated hero of your own design. Enslaved: Odyssey to the West didn’t get as much attention as Ninja Theory’s hit Heavenly Sword, for which you should all be ashamed of yourselves. A post-apocalyptic re-imagining of the Chinese great classical novel Journey to the West, Enslaved follows the adventure of Trip, Monkey and Pigsy as they fight back against mechanical slavers and seek the truth behind what caused the world’s chaos. While touted as an action game, Enslaved splits its time between hard-hitting melee combat and exploration. Traversing the gorgeous, ruined world is an absolute joy, but the real pull of the game is the characters. Ninja Theory hits it out of the park again, breathing life into a cast that players immediately feel connected to, making their journey a much more personal one. They feel less like characters and more like real people, and while the surreal ending will satisfy you, you’ll still wish you had a little more time with them. Fantastic picks, both some of the best games on PS3 for sure. Some great picks there. Both are awesome games. Loving these articles. Brings back some awesome gaming memories. A lot of these staff picks are coming from left field. That's cool, but haven't you guys played, ya know, GTA4 and MGS4? We have, but how boring would these articles have been if they were all Triple-A titles that everyone already has? I got about 50% through 3DDGH before losing my save to a faulty drive. I haven't been able to start again lol. 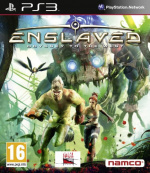 Enslaved looked like an interesting game and I've seen it super cheap on Amazon a few times. Maybe next time I'll buy it.